Best Weight Loss Apps – Let Technology Work for You! 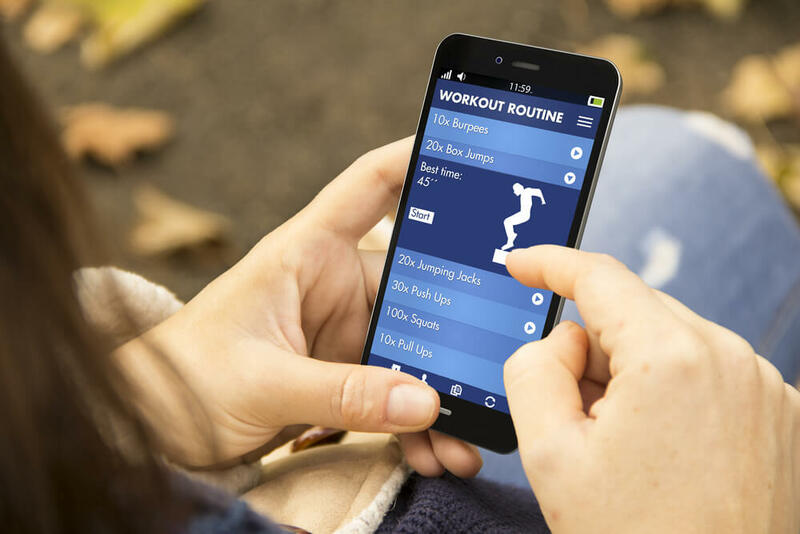 With the upcoming holiday season, finding the best fitness apps may be on the top of your priority list. It seems like daily there are new apps coming out and you hear your friends commenting on the ones they like best, especially when it comes to diet and exercise. Maybe you have tried a few of the best fitness apps? Here we’re going to talk about the best weight loss apps of 2018 as well as weight loss apps for android and iPhone and how they can help you reach your goal. Learn more weight loss tips here! There are many different methods to weight loss and not one fits each person. If you’re a person who enjoys running and needs to shed a few extra pounds you can try out the app Studio. Studio is an app that is audio-based and allows you to listen to running classes while running. You just have to attach your headphones and get going. Studio allows for a bit of healthy competition as its users from all around the world can win prizes in Studio’s own in app prize system. A bit of healthy competition, for prizes, never hurt anyone. Studio offers various types of running plans, especially if you’re not a runner but would like to be, or if you’re already an elite runner. Although Studio is only free for two weeks, it gives you a good amount of time to try it out and decide if it’s the one of the best apps for weight loss or not. If you’re someone who enjoys counting calories and weight tracking then the app Lose It! May be one of the best fitness apps for you. It’s great because it generates daily goals for you that fits your plan. This is one best free diet apps out there because of its picture feature. It allows you to take pictures of the portion sizes of your food, and what you’re eating, to track your meals. Lose It! Does all of the hard work for you and if you decide to pay a bit more to get the premium features you can connect with other users of the app to get support from them as well. Mindful Eating Tracker is for those of you who want to change their eating behaviors and improve your relationship with food. This app is geared more towards women and focuses on figuring out the difference between physical hunger and emotional or mental hunger. This can be considered one of the best weight loss apps right now because it takes the focus off of counting calories and helps its users understand that making the right choices will lead them to the accomplishment of their goals. This app is visual, it allows you to log how you feel emotionally and how hungry you are and produce statistics from it to help you reach your goals. If you are someone who loves to eat out, or finds themselves eating out often the app HealthyOut can help you with your decisions on what you’re eating and where you’re eating. The way HealthyOut works is that you put in your zip code and the app finds options for healthy meals in your area. There are even apps to help you with your specific diets such as Nom Nom Paleo that can help you with all of your Paleo diet needs, or 30 Whole Days which helps you work through your Whole30 diet. Not to mention if you’re doing the Keto diet… there’s an app for that. The KetoDiet app makes following the Keto diet easier for you. Try out different apps, see whether it’s one of the weight loss apps for android, or iPhone or both, and whether it’s right for you. Not one diet, or plan, is the same and finding the right fit is what’s right for you. Don’t worry if you don’t find something that you like, we’re sure another diet app will come out soon and it could be the right one for you! In the meantime, regular exercise, following a diet with protein, vegetables and low in sugar and carbs can help you maintain a healthy lifestyle.